NV200: Fitting Solar Panels – Do your dream! 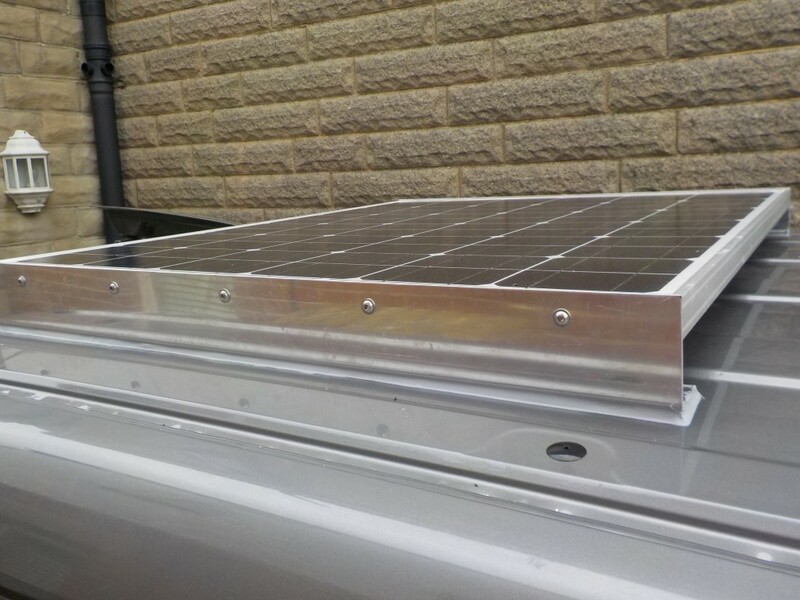 We always planned a solar panel, mainly due to the compressor fridge. 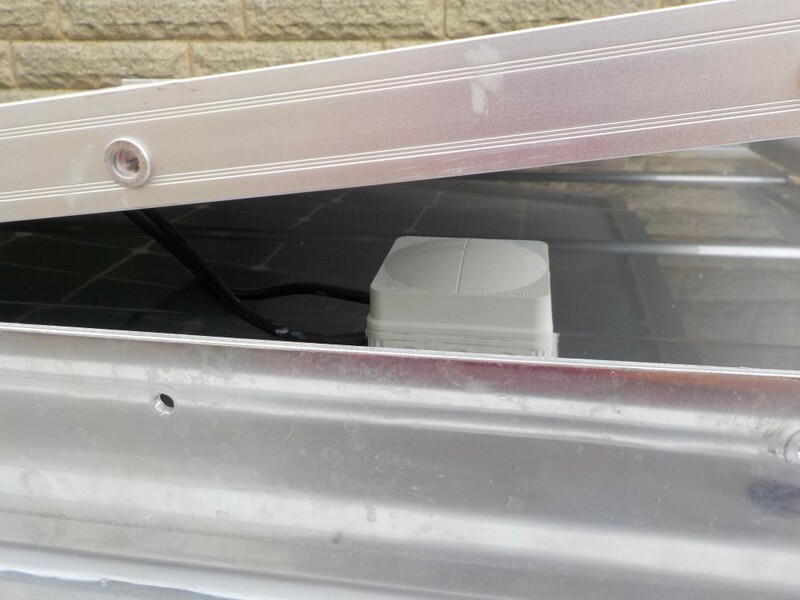 We have 2x 100AH leisure batteries and a ctek d250s charger that connects engine battery, leisure battery, and solar panels via an MPPT controller to whatever needs the power. We had considered flexible panels and other types, but went standard in the end. Extra height not an issue as the height is below the skylight anyway. 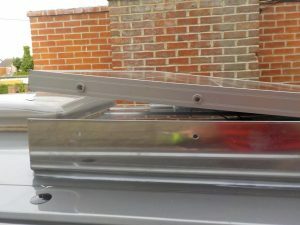 We had bought and planned to use specific panel mounting brackets that look neat, but on our van were too chunky and neat. 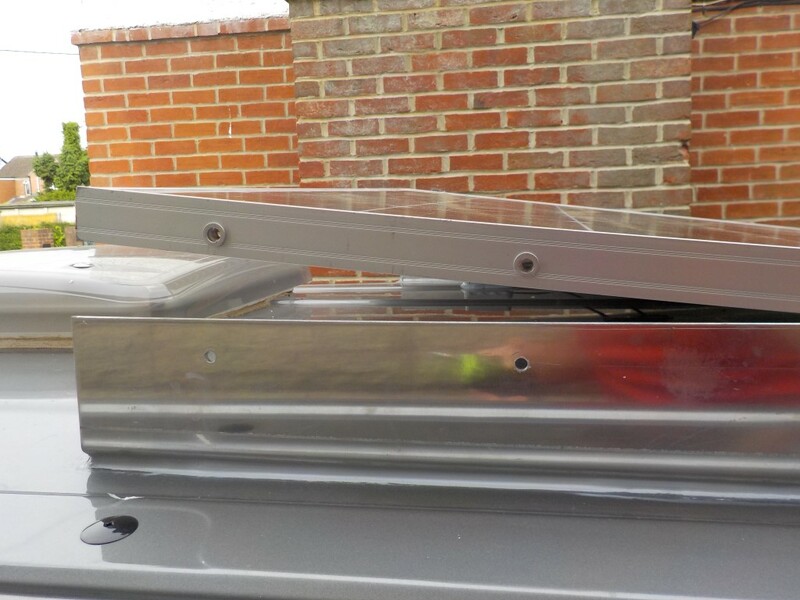 Fortunately some advice from a friend made us reconsider Aluminium angle, and hence we went that route getting some aluminium angle cut to size by a customer of mine. 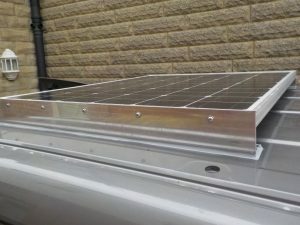 This gives 810×50 surface area each side and raises the panel above the roof curve and allows the connection box underneath which can stay dry. 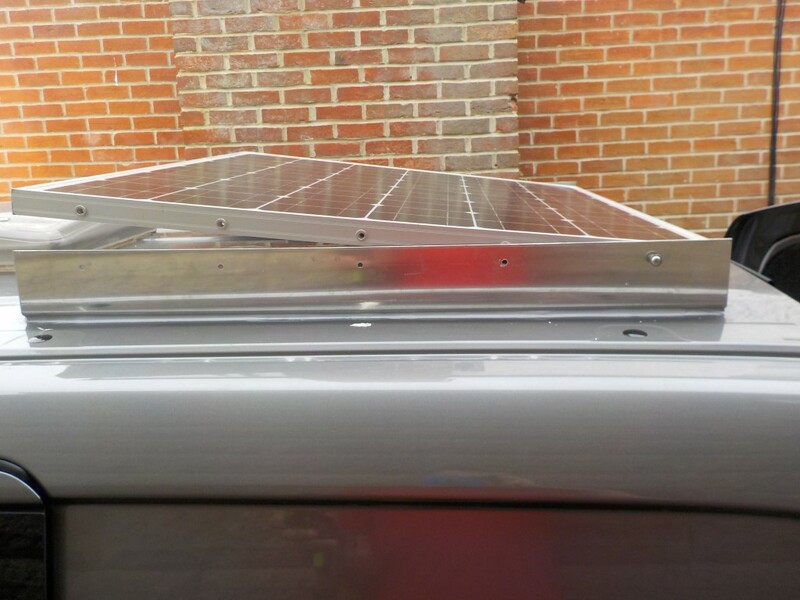 With some help from aforementioned friend (thanks Chris :)) – we drilled the panel and installed some rivnuts that I’ve not used before, but easy enough, 5x M6 bolts each side. 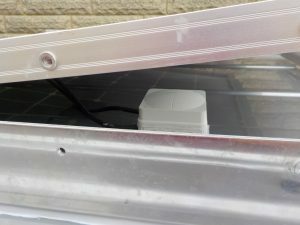 The ali angle then stuck to the roof with a tube of stixall and connected up, and hey presto, free energy!